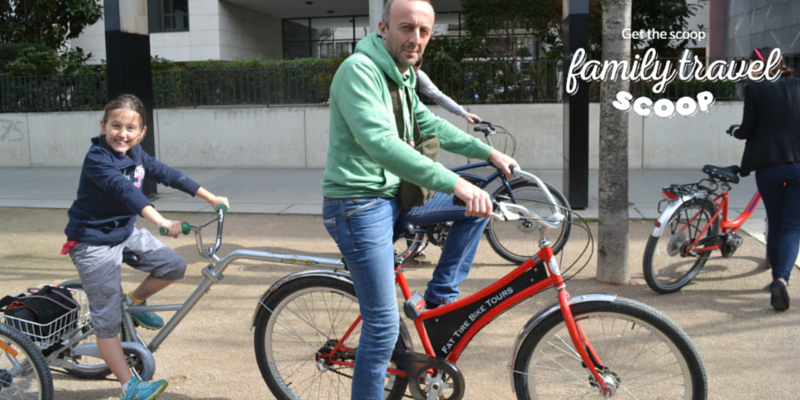 If you are looking for a fun bicycle tour Paris experience, don't miss Fat Bike Tours. I chose this company after reading several reviews online and also because I wanted to see the city in an original way. I usually sightsee on foot, end up exhausted and miss some of the sites. So I figured that seeing the sites on a bike would get me speedily around to see everything in the limited time I had. 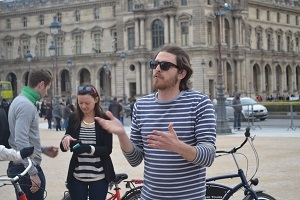 I also wanted to take a guided tour to get a little bit more information than I usually get with some insights from someone living in Paris instead of the standard tour guide blurb. 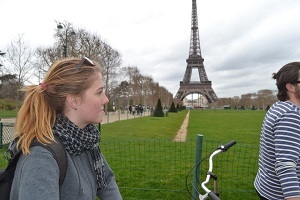 The tours are in English and Fat Bike Tours company offers a variety of tours. I booked through the website although reservations aren't necessary unless you're in a group with kids. 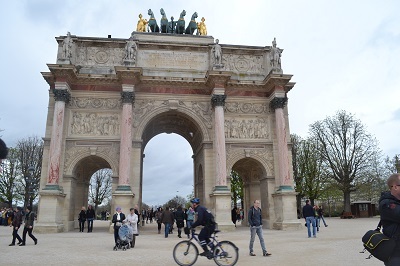 The company offers day tours (€30) and night tours (€30) as well as tours to the D-Day Beaches, wine tasting, Versailles (€85) and Monet's Gardens (€75). So I took the day tour, the company offices are at 24 Rue Edgar Faure but the meeting point for tours (both day and night tours) is at the foot of the south leg of the Eiffel Tower. I found our guide Andrew easily as he was holding a big white sign, after a brief explanation of what was planned we began the 4-hour tour. On the day I took the tour there was light rain but the tours are never canceled due to weather and instead the guide sold us a plastic poncho for €1 (which they buy back at the end of the tour if you don't want it). 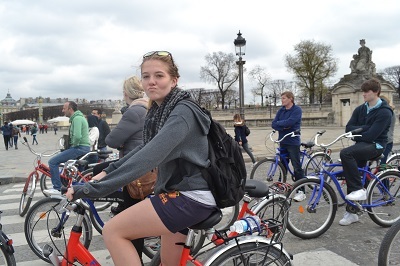 My kids absolutely loved this bicycle tour Paris experience. My daughter who is nine had a bike attached to my husband's bike which made it easier for her to keep up with the group. 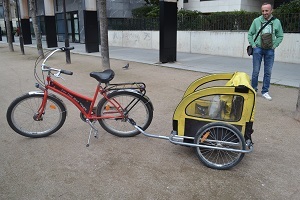 Another couple on the tour with me had two little kids who got to sit in a buggy-type tandem trailer thing attached to the dad's bike. Perfect for kids who will enjoy the sights on the streets more than the monuments and museums. Our guide Andrew was hilarious and had us laughing the whole trip. The kids loved learning weird and wonderful facts and they actually remembered them all- much more than any other tour we have been on! 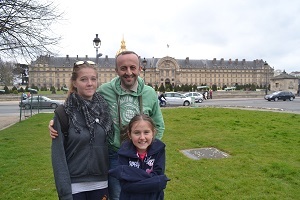 Among the sites we saw on the tour were the Eiffel Tower; Napoleon's Tomb; the Louvre (from the outside); Musee D'Orsay (again from the outside only); Tuileries Gardens; Champs-Elysees; Les Invalides; Place de la Concorde and other places which I can't remember! 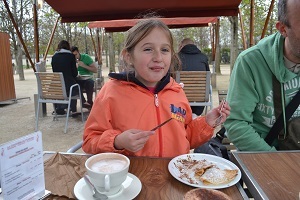 We stopped for lunch (which isn't included in the price) at the Tuileries Gardens and ate delicious crepes! This was great as those who had thought ahead brought packed lunches and others preferred to buy something in the park café. I had been worried that we would speed past sites and that I'd get tired but we stopped at every site and I found the pace easy and comfortable. 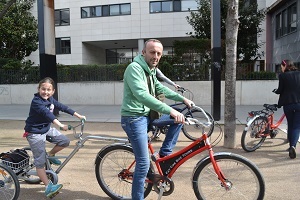 The best thing about this tour was getting to be out and about in the fresh air, practicing green travel, getting a good overview of the city and hearing the fun anecdotes from the guide which I couldn't have found in any guide book. The downside is that you don't go into any of the museums or monuments so if you do want to see anything in more depth you need to go back some other time. It was a new experience for me and I thoroughly enjoyed myself and would highly recommend the Fat Bike Tire Tours for both adults and families with kids. 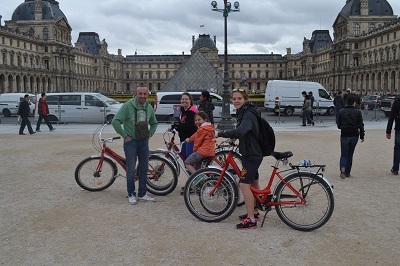 It was our absolute favourite thing to do in Paris with our kids! For more information about the Fat Bike Tours contact them on their website at Fat Bike Tours Paris by email at Paris@FatTireBikeTours.com, fax: +1 206-984-2707 or by phone: 101-56-58-10-54 or +33-1-56-58-10-54. 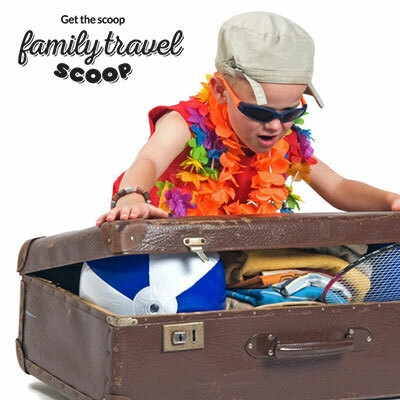 Don't forget to download your Fly It Quiet France Travel Guide for Kids!